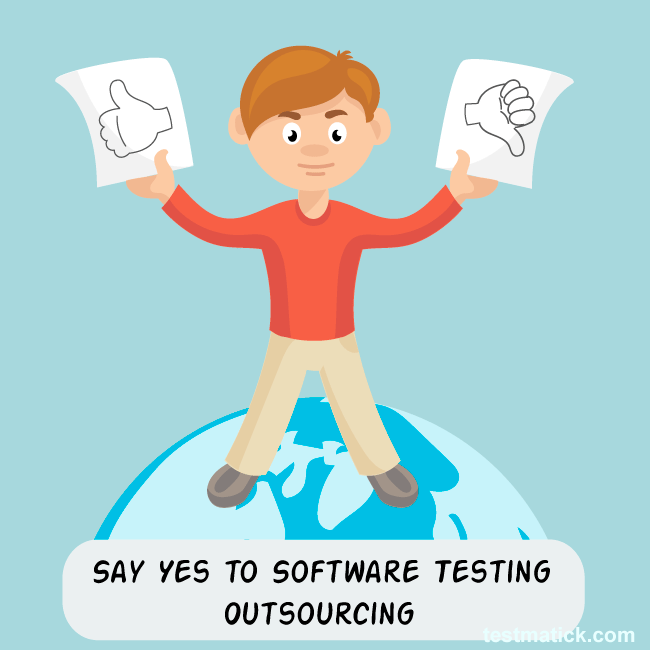 Software testing outsourcing gained big popularity. But why it happened? What is so peculiar about it? Without doubt, many people would love to know answers to these questions as they can often hear the word combination “outsourcing software testing”. But are there any differences between this kind of software testing and other ones? For sure, outsourcing software testing has own characteristics among which some are advantageous but the other are not. Quality assured services include any type of manual and automated testing. They are provided to put web, mobile, desktop apps on real devices to achieve high quality of testing. The features of outsourcing need to be sorted out, let us do this together. Actually, mobile app developers made sure that no in-house testing was sufficient to achieve the results required for improvement of their equipment. They started cooperating with software testing company though this step was not easy for them. NB! Resorting to quality consulting firms you protect yourself from a variety of possible risks. Highly experienced staff will offer you fail-safe, cost-effective, fast solutions. Do you know that nobody but software testing company is able to provide high-performance software testing for different apps? Besides, it does not matter whether mobile application testing is very comprehensive or not. Performance of mobile app testing takes little time, i.e. as shortest period of time as possible. However, this kind of software testing makes mobile app developers almost fully enclosed from the Quality Assurance process. And, as a result, these specialists cannot keep the process of outsourcing software testing under control. To have a testing team at the company involves more expenses than to perform outsourcing software testing. Nevertheless, mobile app developers do not take part in the testing process and they are incapable of involving the application in due time. Mobile app testing is far better when performed under their guidance. But if the two parties are concerned with the final results they will surely find solution under any circumstances. Quality assurance companies contribute to the performance of mobile app testing. Their testers are employed to find errors and defect arising in software testing. Also, software testing company is known to employ testers among the audience targeting a company that produces mobile apps.